Guest blogger: Alison Bernstein, the founder of The Suburban Jungle Realty Group, the only real estate firm solely dedicated to working exclusively with buyers looking to leave New York City for the suburbs of Westchester, Connecticut, Long Island, and New Jersey. Here, Alison shares her advice on how to find the perfect first home. You chose the perfect partner, dress, venue, and honeymoon retreat, and now you’re looking for the perfect neighborhood and home to start your new life. But where to begin? The home search process can quickly become a daunting and overwhelming task. There are so many aspects to think about and even more that can creep up if you’re not careful. After going through several houses, multiple towns, and four pregnancies before finding our perfect neighborhood, I learned that our home-search difficulties weren’t unique and, in fact, many families could benefit from guidance and educated know-how during the process. So in 2008, I founded The Suburban Jungle Realty Group, the only real estate firm solely dedicated to buyers needs as they move from Manhattan to one of the over 500 towns within commuter distance with the help of consultants and personal strategists. Here are some tips developed by the experts at The Suburban Jungle Realty Group to help you avoid any hassle when setting up your new life! While it is very easy to understand the basics of a new town such as the commute, school system, and real estate, the true identity and personality of an area is much more difficult to access. My husband and I chose to move to a town after driving through it and noticing it was “pretty.” This is not the right approach! Checking out a town as someone who actually lives there will aid the decision-making process: make time to grab some coffee, see if the grocery store has your favorite snacks, chat with the locals, and do the commute once for yourself. 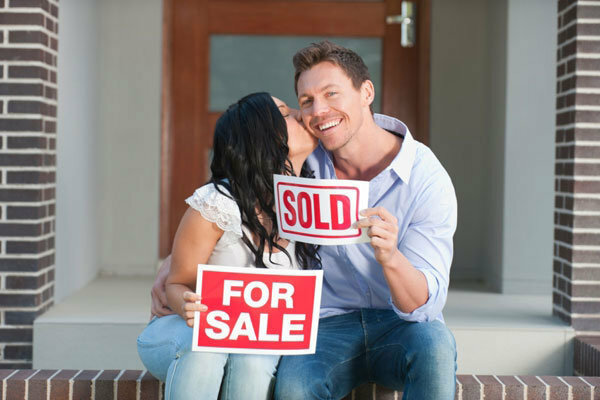 Don't worry about finding the perfect home from the start. First find the right town that fits with the way you want to raise your family. Once you move somewhere and you set up your life, it is always easier to upgrade the house than it is to upgrade the town. Regardless of budget, the town is not worth comprising on. Many families opt for smaller homes initially then upgrade. In fact, most families tend to upgrade or change homes in 3-7 years. Plan to have extra saved for maintenance. The actual care and cost of things may surprise you! For example, spraying for ticks, fencing, seeding, and the utilities are all financial considerations for first time buyers. Also, expenses like outdoor wood rotting or landscaping that seem minor at first can sometimes turn into major costs. Before the market correction, our buyers were stretching and really using every opportunity to put as little down as possible. While some of our buyers make the standard 20% down payment, we’ve been seeing more and more buyers be more conservative and put down 40-50%. This is definitely a new trend that we started seeing after the real estate market crashed a few years ago and something to consider. While 20% is still great to put down, many buyers are simply being more conservative now. 5. Foreclosures — A Best Bet? Typically, short sales and foreclosures take a very long time to negotiate and close, in part because you are dealing with a bank and going through the proper channels takes a while. With that said, a house that is about to go into foreclosure (but isn’t quite there yet) might be your best bet. Homes that have unique issues like foreclosure or needed renovations are sometimes underpriced because many buyers find it difficult to see the potential. Ultimately, the best thing to do in order to get a great deal is scout out homes that have been on the market a long time because sellers tend to be more willing to negotiate. The key is to use “in-the-know” local agents. They should have an idea of how long homes have been on the market, as well as each seller’s story. In this way, knowing the local gossip and stories can be important pieces to negotiations, which is why we advocate learning about towns before purchasing and why our business model includes town consultants. If you’re not working with a realty group, your own network of friends and family can fill the role of town consultants. Sites like realtytrac.com can also be useful in determining how long a house has been on the market and if it’s about to go into foreclosure.